The Energetic Caravan Park and Holiday Clearing 2 sound pack consists of a mp3 programs to clear negative and stale energies from Caravan Park and Holiday accommodation which may have been left by overnight visitors, or tradespeople. Remember that everything we touch we leave an “energy imprint” eg furniture, walls, doors etc. People can also leave their “negative emotions” think about walking into a room after people have been arguing in there. Again created on request for a client who runs a holiday accommodation program. 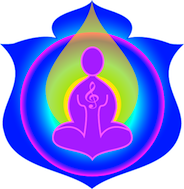 The second sound program in this pack is for clearing the energies of those who have passed over and who may be residual in the area. Often the issue was not what people often describe as a ‘ghost’ and which I refer to as an earthbound energy, it might simply have been an accumulation of energies left by previous inhabitants of the home or space. The Energetic Caravan Park and Holiday Accomodation Clearing programs allow people to cleanse their own homes, and especially those homes into which they invite guests without needing me or some one else to go and do it for them, these two simple yet powerful mp3 programs put the ‘power’ back in your hands. Energetic Bed and Breakfast Clearing, Office / Career, Clearing Space and Venue, Clearing Home Space and Venue.